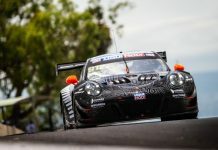 David Brabham heads back to his homeland Australia this week poised for his race debut at the 2015 Liqui Moly Bathurst 12 Hours with Flying B Racing, piloting the Bentley Continental GT3. The trip back to home soil will be Brabham’s first since launching Project Brabham, a bold sustainable open source racing model aiming to return the iconic Brabham Racing team to top flight racing around the globe. Although a former winner of the Bathurst 1000, alongside brother Geoff in the BMW 320i in 1997, David is yet to race in the Bathurst 12 Hours in his staggering 30-year career. Stretching from karting to F1, the youngest son of the legendary late Sir Jack Brabham has raced at the highest sportscar echelons since 1991 amassing a host of international titles which include three wins at Le Mans, including outright victory in 2009, and two ALMS crowns in 2009 and 2010. Reunited with the Bentley brand, having finished second at Le Mans with the prestige marque in 2003, David joins 2014 winners Peter Edwards and John Bowe for his inaugural assault. It is not, however, Brabham’s first time racing with the Maranello outfit, he raced for the team in 2004 winning the Bahrain GT Festival alongside the late Allan Simonsen. 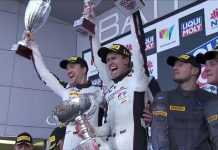 “Bathurst is one of the most enjoyable race tracks to drive on around the world and I have been lucky enough to have driven quite a few to know that,” said David. “Returning to Bentley is really special as the relationship I had with them during Bentley’s 1-2 at Le Mans in 2003 created a strong bond that continues through to today. 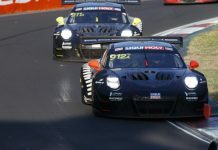 Billed as Australia’s international endurance race, the 2015 Liqui Moly Bathurst 12 Hours will boast a 55-strong entry list featuring the best teams and drivers from home and abroad. The outright class is reported to be the strongest ever 12-hour entry and with international drivers such as Patrick Long, Mika Salo, Maro Engel and Bernd Schneider. Brabham’s attendance will give Australian Project Brabham backers their first opportunity to catch up with the new Brabham Racing Team Principal at the New South Wales circuit. 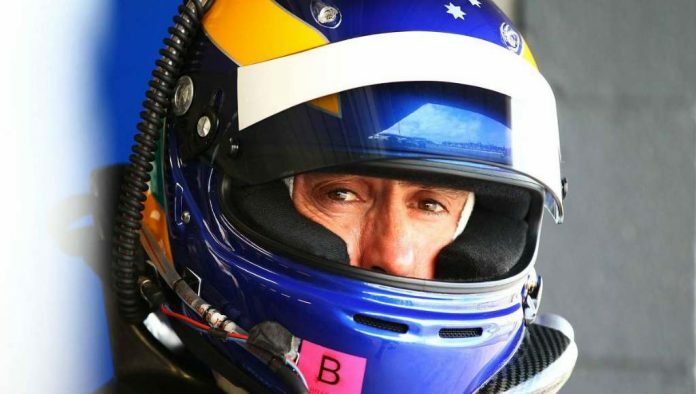 Once his driving duties are complete, Brabham plans to stay on in Australia to hold meetings with various potential partners interested in investing in the iconic Brabham brand that will bring the team name back to racing via the FIA World Endurance Championship LMP2 class. Since its launch at the end of September 2014, Project Brabham has raised £278,057 via it’s crowdfunding model and built a global community of over 3,000 people from 64 countries all backing this new approach making motorsport more accessible, transparent and engaging to fans.